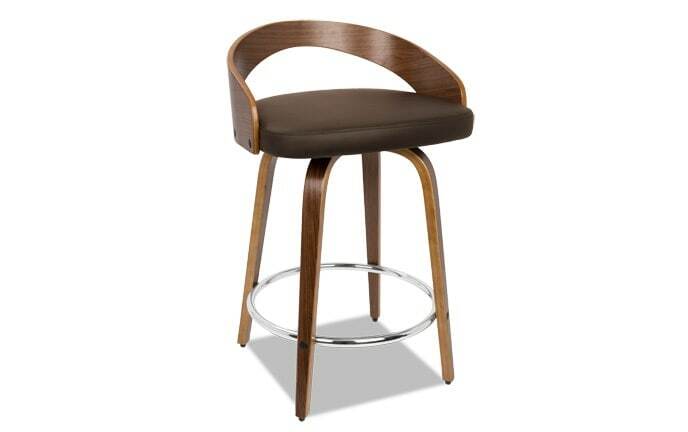 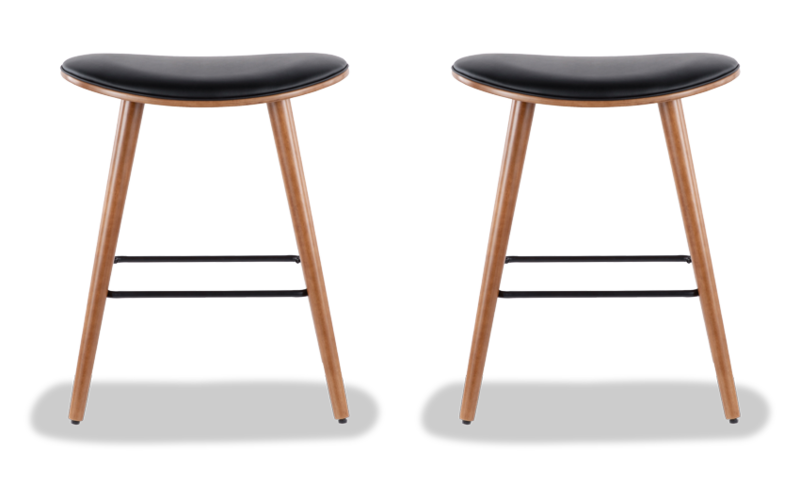 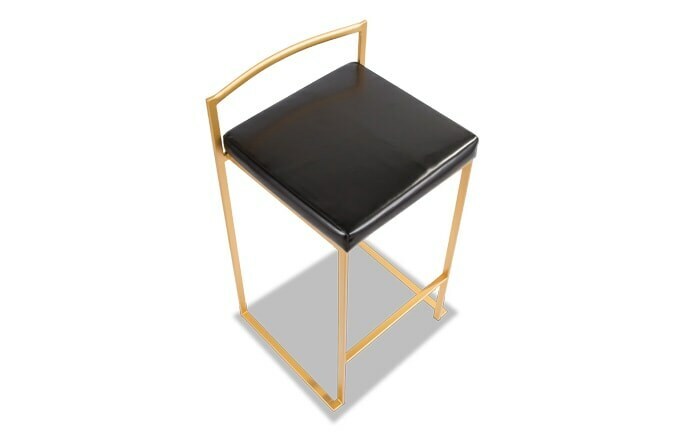 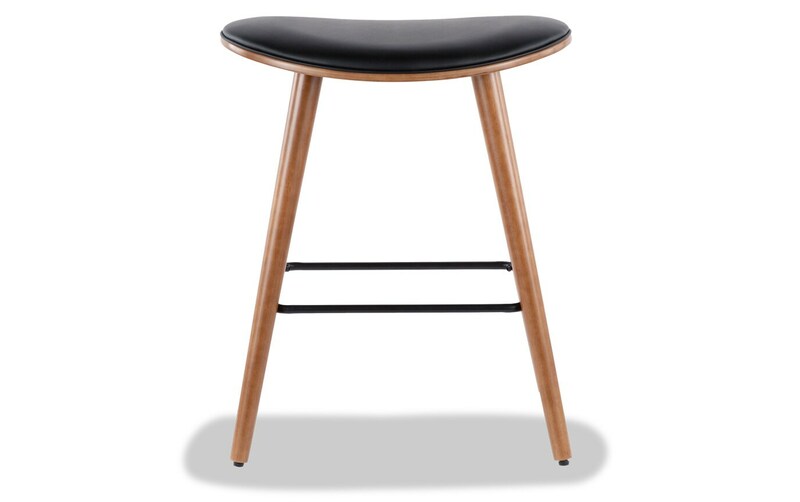 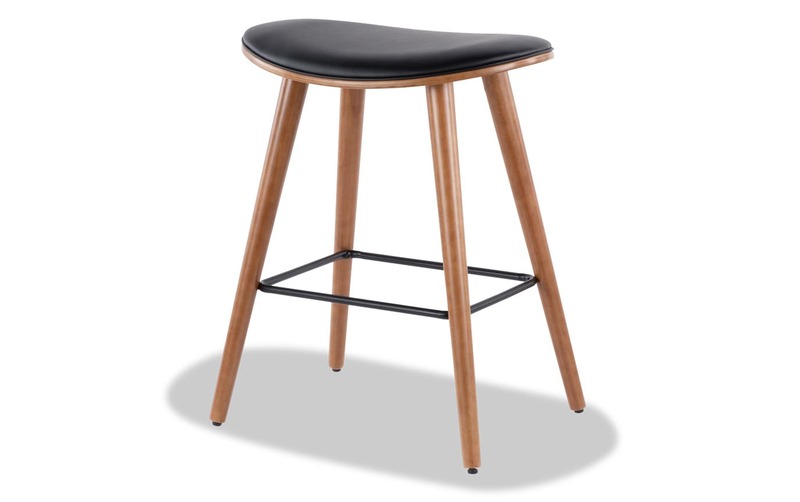 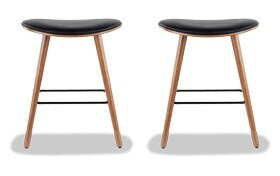 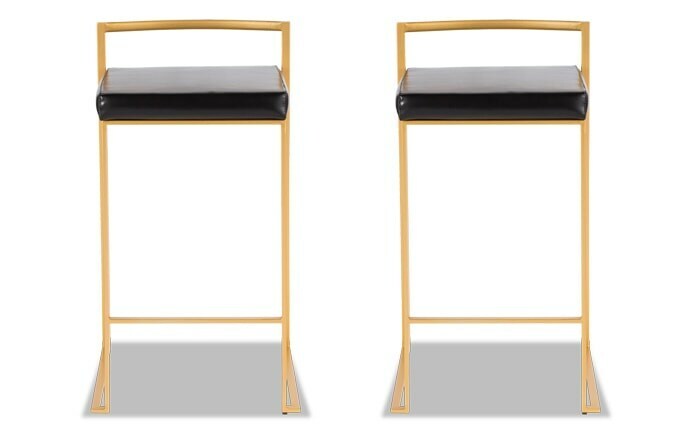 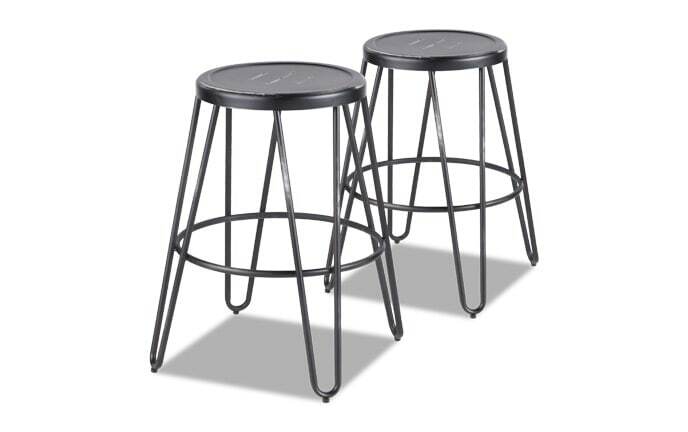 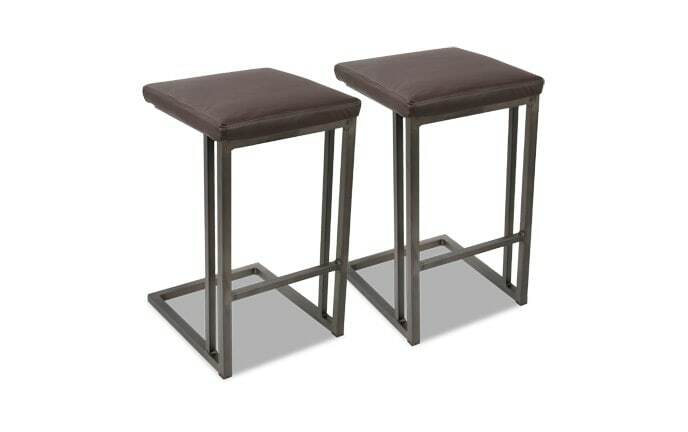 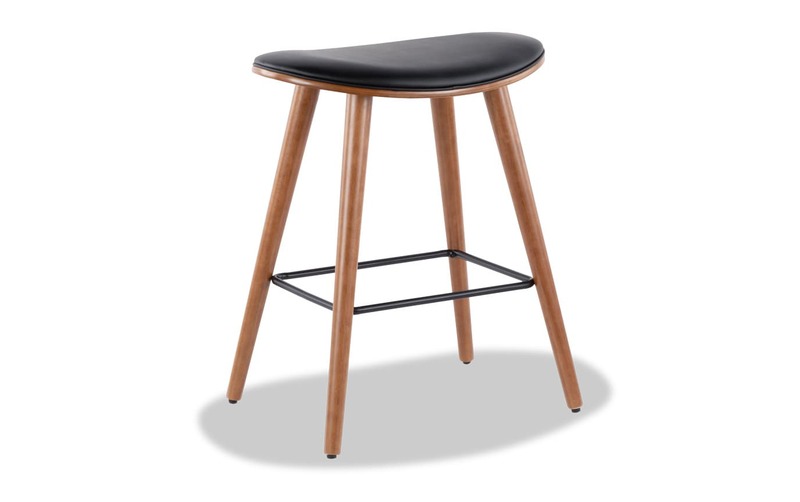 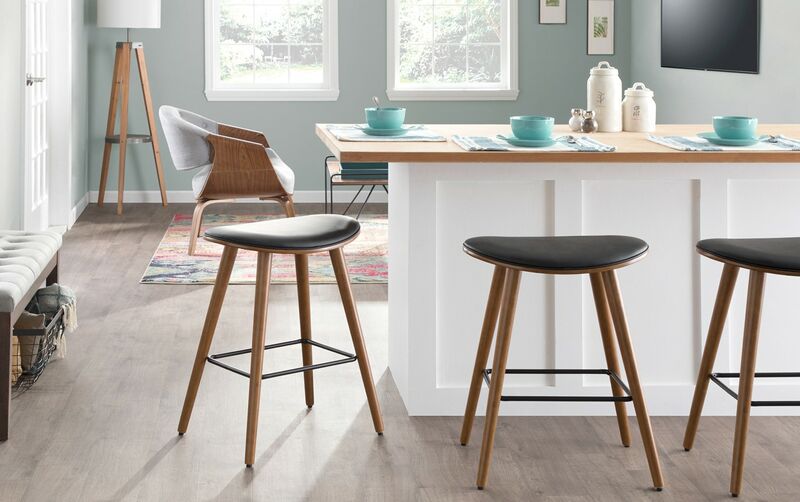 You will love the combination of ease and style of my Set of 2 Katy Faux Leather Counter Stools. 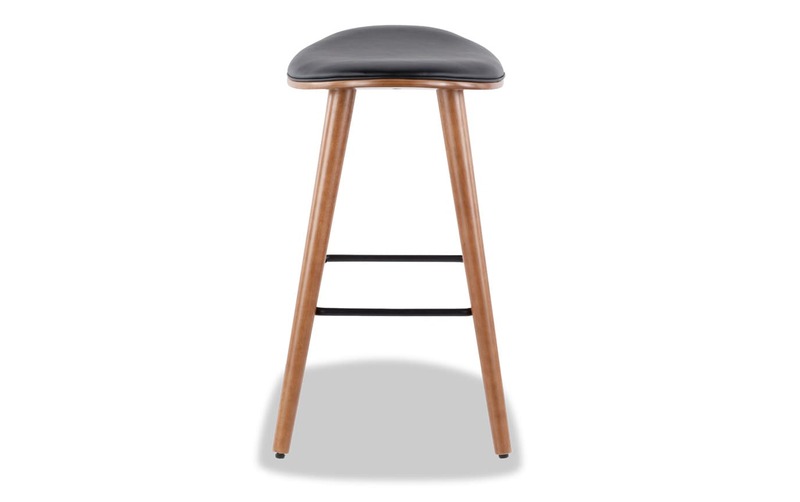 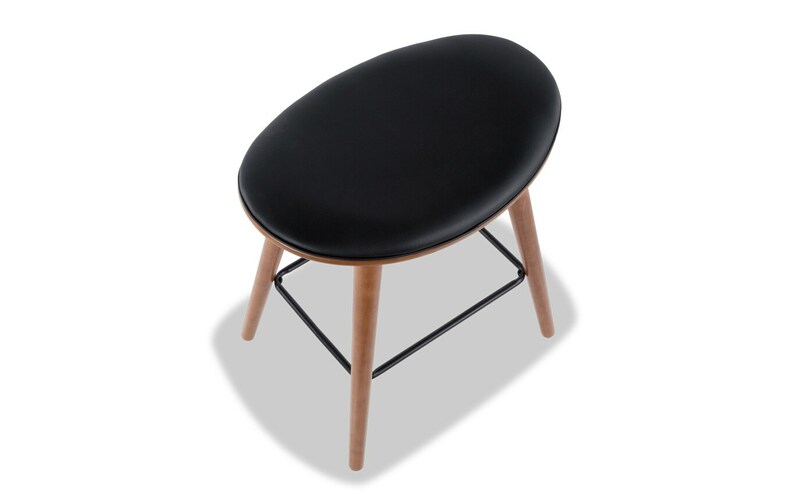 The trendy tapered wood legs and metal footrests are balanced by a contoured faux leather seat for ultimate comfort. 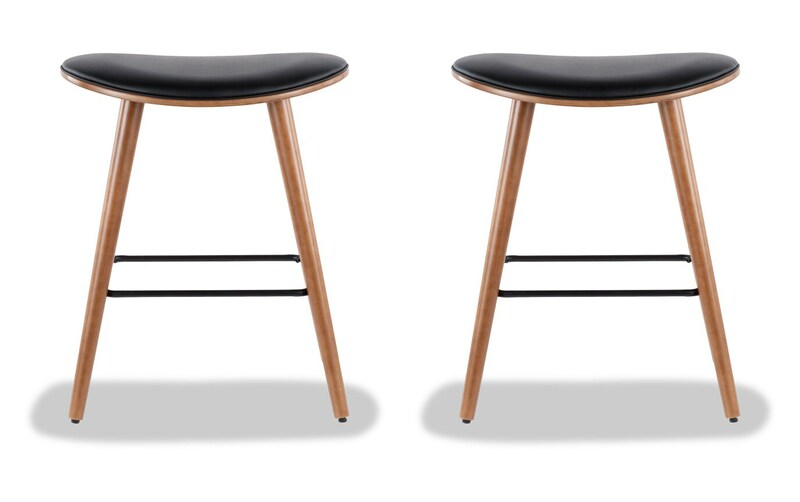 Who says you cannot have it all?